In celebration of Halloween, two photos from my recent trip to Belize. 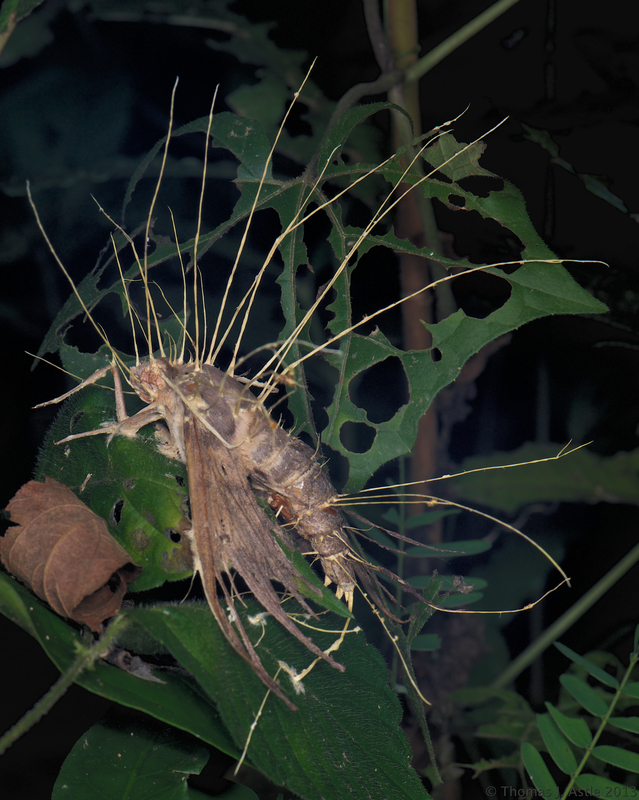 Both are of insects which were parasitized by a Cordyceps fungus. 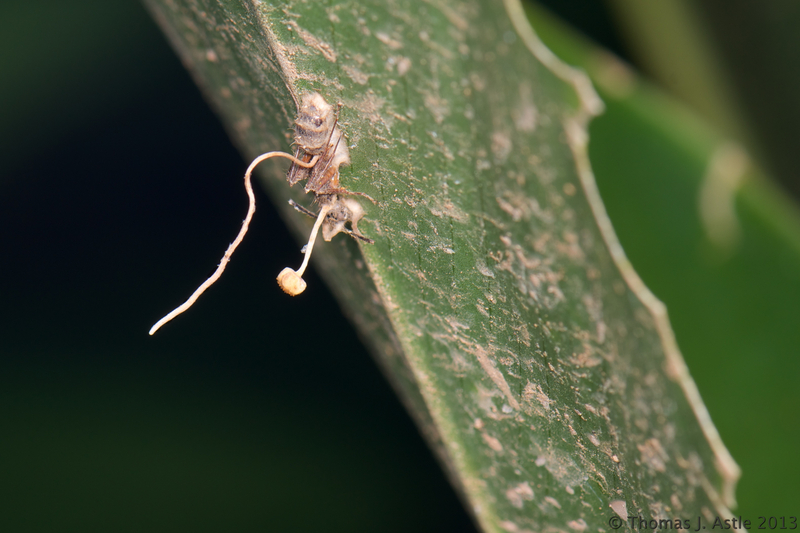 (In the case of the ant, I am reliably informed that the fungus is an almost-certainly-undescribed species of Ophiocordyceps.) The fungus attacks the insect, keeping it alive long enough to actually cause a change in its behavior — zombie-fying the hapless victim not to seek human brains (thankfully), but to crawl to a particular exposed spot with appropriate conditions of humidity and temperature (for the fungus, not the insect), where the insect then latches on, dies, and becomes the distribution point for the fungus’s spores. The sphinx moth was, to me, particularly dramatic. Now, if I had seen, say, a goat that had met a similar fate… but no. I’m sure this fungus doesn’t attack vertebrates. But why do I suddenly have an urge to climb onto my roof? And why is my skin so itchy…? wow great shot and interesting post ! Copyright notice: Unless stated otherwise, all text and photos appearing on this blog are © 2014 Thomas J. Astle and etimoss.com, and may not be reproduced without explicit permission. But I'll probably give you permission if you ask me nicely.